Short merino socks by MerkelGEAR for the warmer months of the year. Made from 67% premium merino wool (67% is a very good percentage for technical merino wool socks), these socks will keep your feet comfortably cool and dry for a long time. Merino wool has an antibacterial effect and prevents foot odour when sweating. The socks are made in such a way that both the sole and the heel, including the ankle and the toe area, are reinforced. This way, these places remain particularly warm and are also particularly hard-wearing. The heel features the same reinforcement, which prevents blisters on long walks. 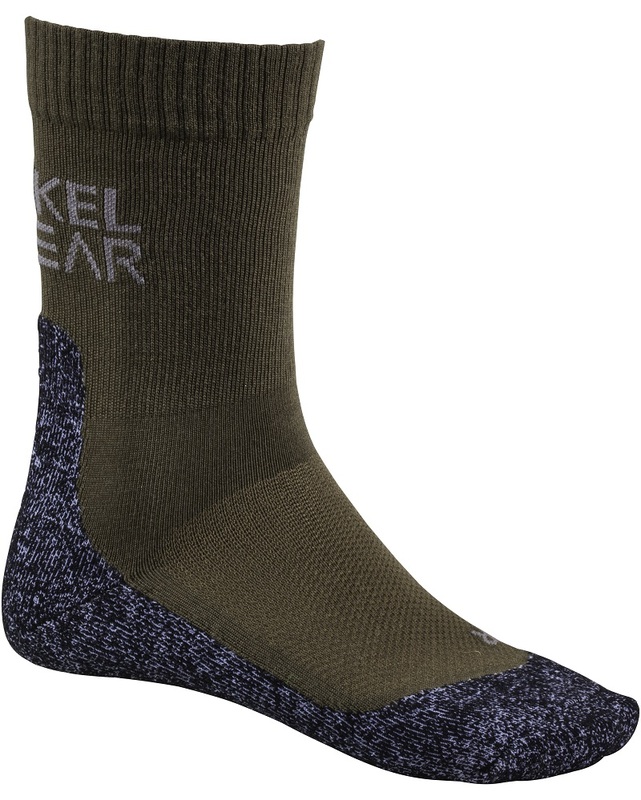 In addition, this short version of the Merkel GEAR socks has a special „ventilation knit“ on the instep, which allows air to penetrate into the toe area and under the outsole. This is especially pleasant when you’re on sweaty hunts for a long time! With left and right symbol in the toe area and size information as well as washing instruction on the bottom of the outsole. Comfortable, pressure-free cuffs. Made in Europe.